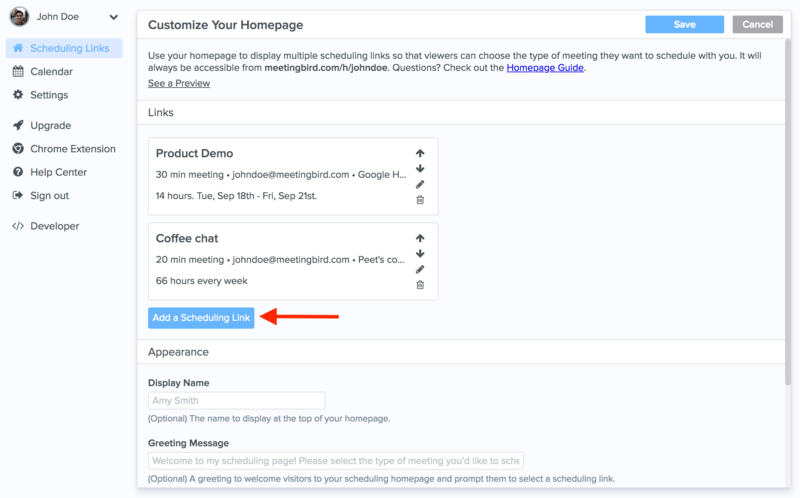 How to use your Homepage to allow recipients to book different types of meetings. Your Homepage is always accessible at the following easy-to-remember link: meetingbird.com/h/username, where username is the username you chose when creating your account. To begin setting up your Homepage, make sure you have created at least one Scheduling Link. 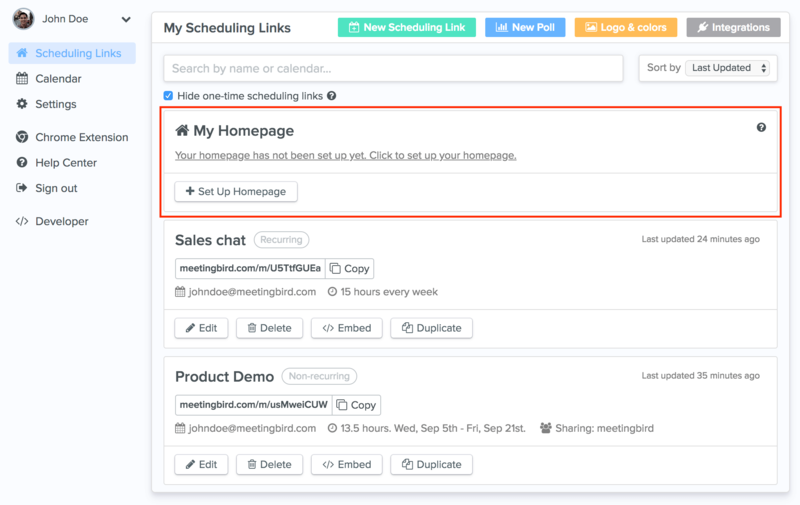 Once you've created a few links, click the prompt to "Set Up Homepage" to get started. 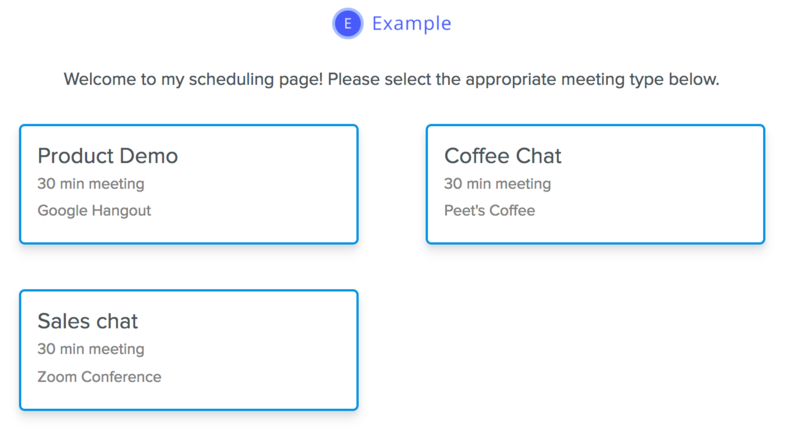 In the Homepage editor, we can choose the types of meetings that we want to allow visitors to book. Click “Add a Scheduling Link” and select the link you'd like to add from the dropdown. Repeat this process for each link you'd like to add. Once you've added a few links, you can reorder their placement on your homepage by clicking the arrows to the right of each link entry. Use the Colors section to customize the appearance of your Homepage. To allow email recipients to quickly book meetings with you, we recommend adding your Homepage link to your email signature. 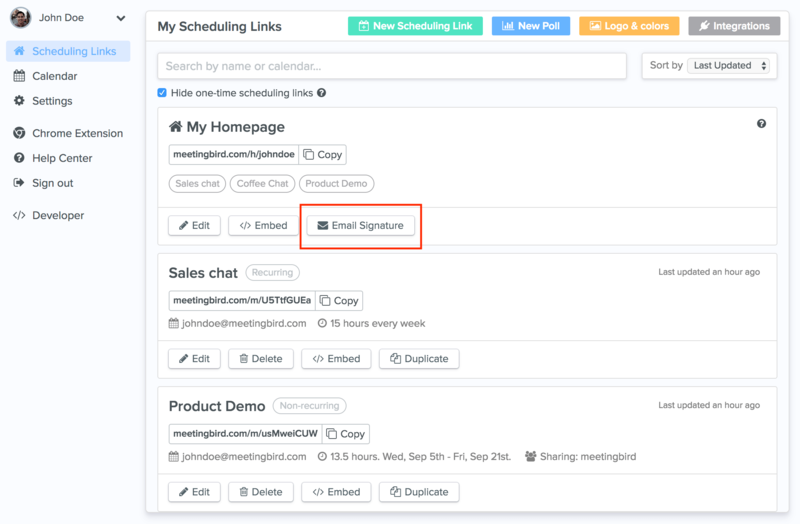 From the Scheduling Links page in the Meetingbird web app, Chrome extension, or plugin, click the “Email Signature” button to copy/paste an email signature that you can add to Gmail, Outlook, or Front. If you have any additional questions about setting up your Homepage, feel free to reach out to our support team.